16 km north of Catania lies the town of Acireale. 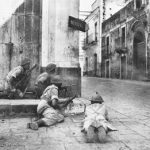 It took the 50th Division 2 days to conquer the town and the roadblocks the Germans and Italians set up. In 2006 this corner was still occopied with a butcher but nowdays it is empty. 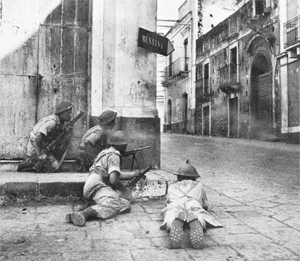 After the fall of Catania’s 13th Corps continued its march north through the narrow strip between Mount Etna and the sea. The journey through this densely populated part of Sicily was costly and slow.